It's enjoyable to witness the socialization process that happens with songs and ideas during circle time! During the school year it's fun to note the progress of children who began kindergarten once reluctant to sing or shake hands with the strange child seated next to them. As they approach first grade, they are now saddened to sing their last circle time songs and shake hands with their friends for the last time. This is just one of the reasons that I love circle time and also why I think it is still important for kindergarteners to sing and participate in song. When I was a new teacher, I was more controlling over the management of circle time: I chose who did what and when. As I matured in my understanding of building independence and responsibility, I began to take on more of a directive role and chose a circle time helper for the week to manage the activities. To begin, model how circle time runs for at least a month before the helper job begins. It will then be the circle time helper's job to manage circle time in the same order. The teacher's role is to oversee circle time, make corrections and inquiries, add a learning point, or introduce a new concept. It is amazing to see how the students respond to responsibility. They really take it seriously, and I never once had to sit the helper down for misbehavior. 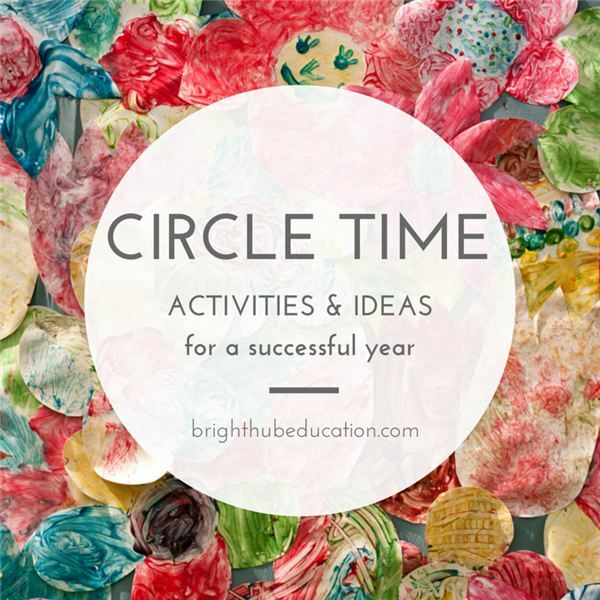 In the beginning of the school year, circle time is a time-consuming task, but later in the year it moves faster and even more activities are added. Starting circle time activities with our "morning song" or "hello song" is a great routine to start the day. 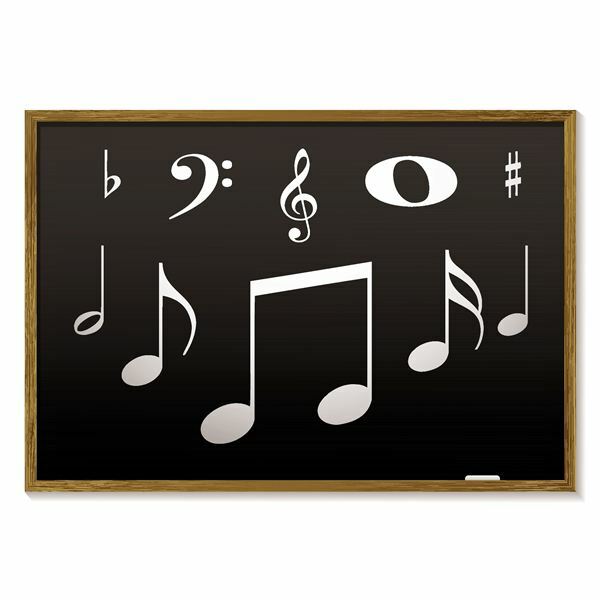 I use the written words of the song on a chart as a shared reading text. I model the use of a "pointer stick" to track print from left to right, return sweep, finding punctuation marks and spacing. Later in the year, as students become more proficient in reading skills, we find and circle sight words in the song and count the number of times we can find the words hello, I, are, you, today, etc. We also learn that questions precede an answer from this song. One year I even had a class inquire what "I'm" meant and we started a whole beginner unit on contractions (first grade curriculum). In the same way, I also use the Pledge of Allegiance as a shared reading text. October, November and don't forget December. Each month is listed on a store-bought poster. 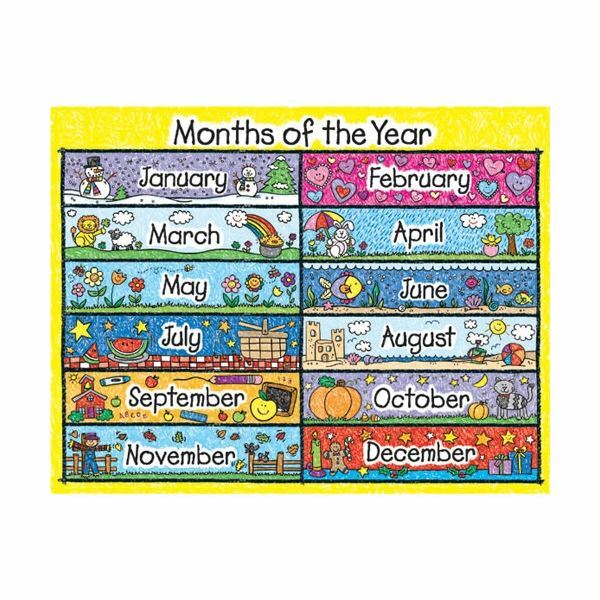 We learn the order of the months, that there are twelve months in the year, what month was last and what month is next, how many days are generally in a month and when we get to 30 or 31, that the month is over, the season the month is in, that months always begin with a capital letter, how many months end in the letter "y", that there are three months that start with the letter "J" and two that start with the letter "M". Writing the month becomes easier with time, especially when we know where to find it in the classroom. Students learn that there are seven days in a week and that they, too, have an order. Again we practice spelling, capitalization, and what today, tomorrow and yesterday means. I teach them an example of what we did yesterday, what we will do today and what we will do tomorrow. After awhile of practicing, students will give you examples based on specials, or events. Learning the word, "day" becomes very easy and students are on their way to finding word chunks. One fun activity that helps students learn the days of the school or work week involves purchasing a Russian nesting doll. There are usually five inside, but check to make sure before purchasing. 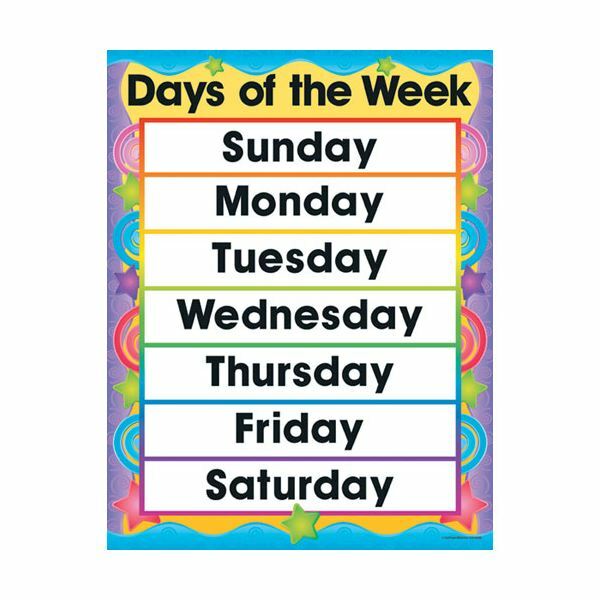 Print the days of the week on index cards. Each day, have the student helper take one doll out of the nesting doll and place onto the corresponding index card. This also teaches them counting down. Using this doll is a history lesson in itself! Next, put it all together on a monthly calendar. Count down to special days, what day of the week the fourteenth of the month was, and how many Saturdays (for example) are in this month. Teach the difference between numbers, such as 7 and 17. Teach odd and even numbers. Have the students write the date everyday and learn to date their papers at Writing Workshop. Include counting to 100 by ones, tens and fives. 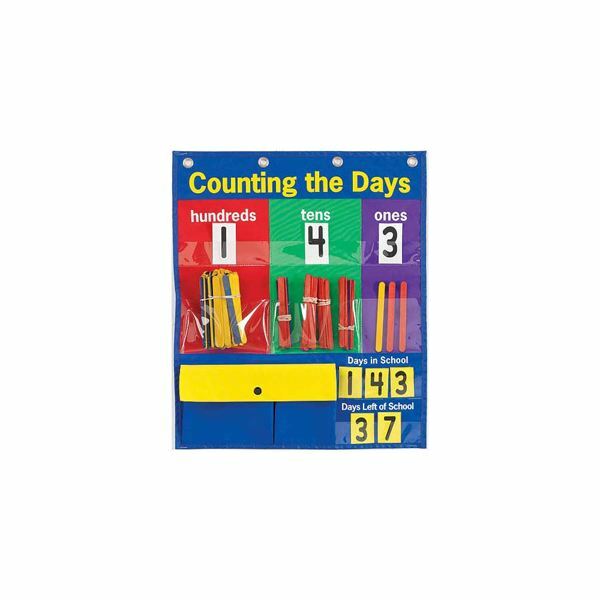 Later in the year teach to count by two's and count above 100.
make tally marks to 100. Start with a blank poster-board that reads "Tally to 100" and model using tally marks (each day of the week gets one tally mark). This also reinforces learning to count by fives. After the 100th day of school passes, either count beyond 100 or move the poster board to your math center for practice. After that, keep track of the weather for each day of the school week on a graph and at the end of the month make summaries and comparisons. This is done with a large dry-erase graphing chart available at office stores. Just take Prekinder's downloadable weather cards, laminate them and put them along the bottom of the graph. Print the date on the left column. The student's color in a box each day to represent the weather. Also, keep track of the temperature on a thermometer and learn that higher numbers mean warmer weather and so on. Children also may practice this concept in Science Notebooks. I photocopy blank thermometers, like those available from TeacherVision and instruct students to color with red crayon to the specified degree. You can also use this template to blow-up on a poster maker and laminate to use to keep track of the temperature. This record keeping will allow students to visually see weather patterns in certain seasons. At last, keep track of who is here or absent on a "T-Chart." The chart has two columns with titles "Here" and "Not Here." Write the names of each student in the class on clothespins and clip them to the "Here" side. The helper records who is absent in the class by moving the absent student's clothespin to the "Not Here" column. Then we count all that are here and not here and record the data on a post-it. This leads to adding up and down on a number line and addition and subtraction later on in the school year. This is an extension of an activity from the Scotts Foresman Investigations Math curriculum. These are shared with you from Laurie Patsalides' classroom experience. I have more ideas in my article on preschool circle time activities. Mostly, whether used in this order or not, the routine you establish with the students will be evident by the end of the school year, enjoy!